It’s less traumatic than Dragon’s Den and cooler than IPOs and Angel investors… it’s Crowdfunding! We’ve featured plenty of interviews with companies looking to find favour and fortune online - over 40 this year - so here’s a rundown of our favourites. Note: We’ve not just featured tech projects. Earlier in the year we talked to Anshulika Dubey, co-founder of Indian Crowdfuding platform Wishberry about the growing market in India, and more recently we caught up with Idealfuture’s Bridget Hogan to find out what happens after projects end. It’s always unfortunate when you think you’ve got an original project, then find out someone’s had the same idea. So spare a thought for Tango Tech and ICE Computer; both companies launched portable PCs with docking screens within a few weeks of each other. One made three times its goal, one made less than 1%. Unlucky. Wearable tech is big news. But two of our favourite wearable projects were ignoring the buzz over iWatches and instead looking to Pebble for inspiration. The Icarus smartwatch was a fairly standard Pebble-clone from an eReader company in the Netherlands, while MomentumLabs went a bit more upmarket with a very trendy looking e-ink smart bracelet. The Novena is a completely open and hackable laptop. 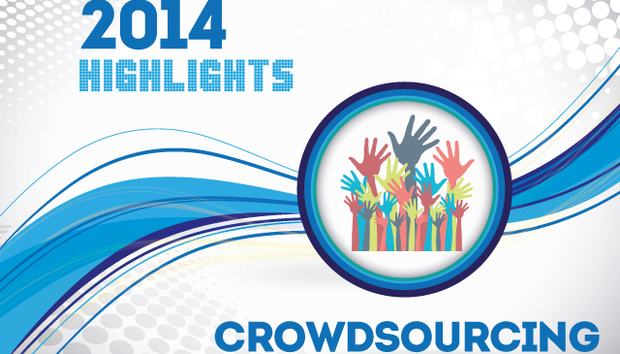 It was probably the most successful campaign we featured this year, raising a very impressive $739,000 on CrowdSupply. It looked pretty cool too. Bonus points for an excellent explanation of how to turn a laptop on. Nokia has had a tough time of it lately. But it’s not all doom and gloom. As well as the division that Microsoft didn’t buy muscling into the Android market, you’ve got Jolla raising $1 million dollars for a tablet and Thingsee trying to democratise the Internet of Things. ProtonMail is an encrypted email service based in Switzerland and developed by a group of scientists from CERN. Company co-founder Andy Yen was pretty vocal about ensuring his company was NSA-proof. Lots of people agreed with his idea and the company raised an impressive $550,000. 3D Printing is becoming big news. We’ve featured four of them in the last year: MyMatics, Blacksmith Group, Sculptify and Zeni Kinetic. Most are successful, but the market seems over-saturated to me, expect more failures than successes in the coming year. A big part of crowdfunding is getting the visuals right, so props to KEECKER and RICO for creating the most cuddly looking tech products. Founded by ex-Googler Pierre Lebeau, Keecker is a home entertainment robot that looks like a chubby cousin of R2D2, while RICO, has a kind of plastic teddy bear aesthetic going on. Awwww. We like good deeds here at IDG Connect, so a special mention goes to the projects trying to make the world a better place. With #Charity, Jozsef Czapovics & Co. created a marketplace where IT-types can donate their time and expertise to charitable causes. There was also the UpSense keyboard that allows you Braille on tablets, and EyeSpeak, the eye-tracking glasses that allow people with ALS, MD and SCI to communicate on screen. Good Karma all round. The best-named product of last year was Space Monkey, the Cloud storage solution that has nothing to do with space or monkeys. This year another Cloud wins the best name award; Sher.ly and its Sherlybox. Founded by men named Blazej and Marek, not Sherly. « What Do Politicians Know about Tech?